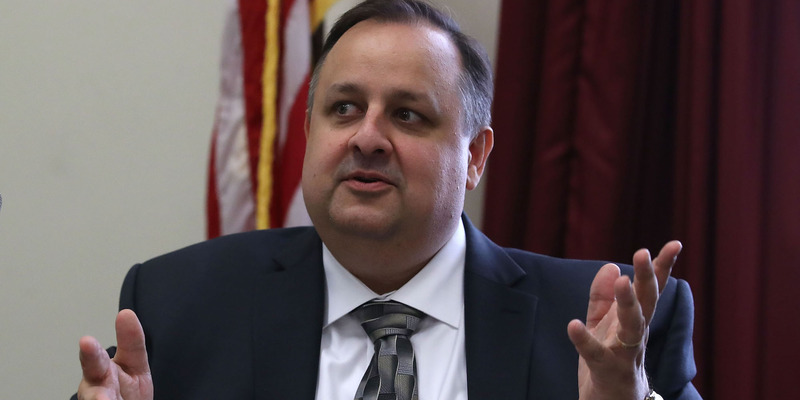 Walter Shaub, the former head of the US Office of Government Ethics, recently spoke about his reaction when he realised President Donald Trump would not place his Trump Organisation assets into a blind trust and divest himself from the company – as ethics rules dictate. Shaub said he feared the entire US ethics program, which ensures government officials don’t have financial conflicts of interest with respect to the offices they hold, no longer applied under Trump’s presidency. Trump claimed he could not possibly have conflicts of interest because he is president. Trump and his family have repeatedly engaged in ethics violations since January 2017, Shaub said. When Walter Shaub, the former director of the US Office of Government Ethics, listened to President Donald Trump’s first press conference of his transition period in January 2017, he said he was in shock. “I just remember watching with dismay as the worst of my fears were coming to pass,” Shaub told “Trump, Inc.,” a new podcast from ProPublica and WNYC that is set to examine potential Trump conflicts of interest. At Trump’s press conference, the then-president-elect laid out steps he would take to attempt to nullify a potentially massive conflict of interest as a businessman-turned-world leader. Trump was criticised for his decision to neither divest himself from the Trump Organisation nor create a blind trust to oversee the company and its assets. Presidents are not legally obligated to do either. Then the ethics chief, Shaub started making headlines as one of Trump’s chief critics. A trust run by family members or spouses of an individual are by definition not blind trusts, because there is little tangible way to prevent the former manager of these assets from communicating with individuals close to him about them. Shaub resigned as the government’s ethics chief in July 2017. “The current situation has made it clear that the ethics program needs to be stronger than it is,” Shaub told NPR at the time. One of the more alarming aspects of Trump’s January press conference, ethics experts said, was that he characterised the avoidance of potential conflicts as a choice, not a requirement. Trump mentioned deals in Russia and Dubai that he said he “could” pursue but would choose not to. Eric Umansky, the deputy managing editor of ProPublica, said when he heard that line, he thought it posed a risk to the presidency. ProPublica subsequently found Trump did not resign from his companies to transfer their management to his sons as he had promised before the inauguration. Danielle Brian, the executive director of the nonprofit Project on Government Oversight, said Trump was setting a dangerous precedent. “Previous administrations have sort of cared a lot about trying to do something about a violation of those conflicts of interest standards, and we have an administration now that honestly doesn’t care,” she told NPR.